At Sospeso Coffee Roasters, we are passionate about coffee and community. 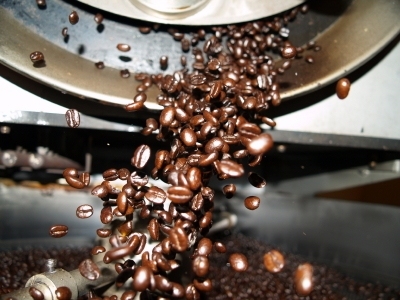 We source outstanding, single origin and estate grown specialty coffees from all over the world. Our coffees are chosen on the basis of their unique flavor and character -- which are a direct reflection of the coffee's varietal, growing environment, and care in cultivation and processing. We then carefully develop roasting profiles that fully express the unique flavors, aromas and body found naturally in coffee, while avoiding flavor associated with the roast. We are also passionate about community. "Sospeso" Coffee is Italian for "Suspended" Coffee and reflects a century old tradition of those with means paying for coffee to be offered for free to those less fortunate. This tradition has survived and developed into a global grass roots movement reflecting not only coffee, but also dedication to paying it forward. At Sospeso Coffee Roasters, we proudly carry forward this tradition by donating a portion of our proceeds in coffee to local food banks and missions. Can the pursuit of great coffee be a simple hobby? Evidently not! For Kyle and Janet Baker, a passion for coffee and a desire to create a uniquely crafted product spurred a 21 year journey that has culminated with the launch of Sospeso Coffee Roasters. Starting in 1997 with a very early Sivetz sample roaster (little more than an inverted industrial heat gun with a roasting chamber clamped to the barrel), we developed a passion for crafting specialty coffees that has deepened and expanded since that first experience. Along the way, there were bigger and newer roasters, a few a mishaps and a small house fire… but, that’s a story for another day. Our hobby has grown into a full time labor of love. We combined a dedication for great specialty coffee with a passion for community and Sospeso Coffee Roasters was born. Today, Kyle oversees the sourcing and selection of specialty green coffees and the roasting operations while Janet leads sales, marketing and community outreach from our new Roastery and Tasting Room in historic downtown Waxhaw, North Carolina. We invite you to join us on our journey, enjoy some really great coffee and make the world a better place one cup at a time!